Our goal is to get your Tecan products to you quickly, but it’s the stable quality that your customers expect that reinforces your reputation. When your product development team has done their job, and you need additional expertise to ensure the product that ships out the door is robust and reliable, our contract manufacturing team is ready to help. We help you to make sure each system that your customers receive meets your specifications and their expectations. But your reputation isn’t built on a single instrument. We also help you to make sure each instrument performs reliably over time, and that your key performance specifications are consistent across all instruments. To ensure your manufacturing operation runs smoothly and efficiently, we work with you to continuously balance your demand forecast with component supply, resource availability, and product output. We seek opportunities for continuous improvement in yields, scaling, and cost reduction so that we can expedite time-to-market in the most cost-effective manner. We need a partner who can integrate it, streamline it, and help us deliver the full solution to the marketplace. Bring your demand to us. 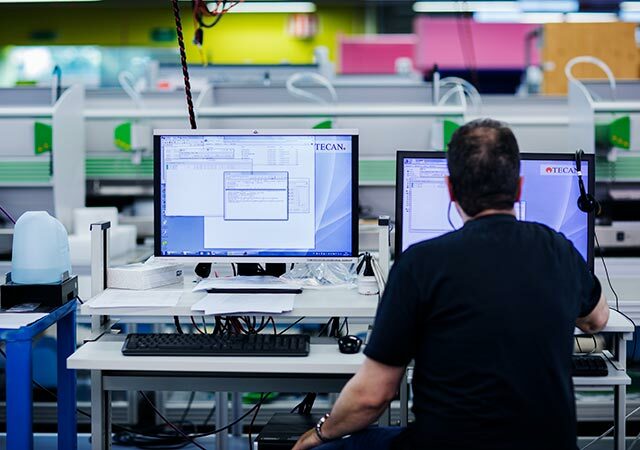 Our contract manufacturing team will produce reliable and reproducible systems on-time, to spec, and within your cost constraints.